The Impact 7-in-1 Collapsible Reflector Disc (22""/55.9 cm Diameter) offers versatile light control with a variety of reflective colors. 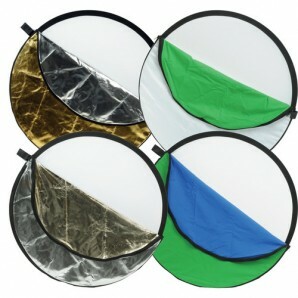 It's a 22""/55.9 cm diameter spring steel frame covered with a heavy-duty pliable nylon blend translucent fabric, with additional fabric covers that slip over the reflector and provide white, gold, silver, and silver-gold reflectors, plus chroma green and chroma blue covers to provide small chroma backgrounds. 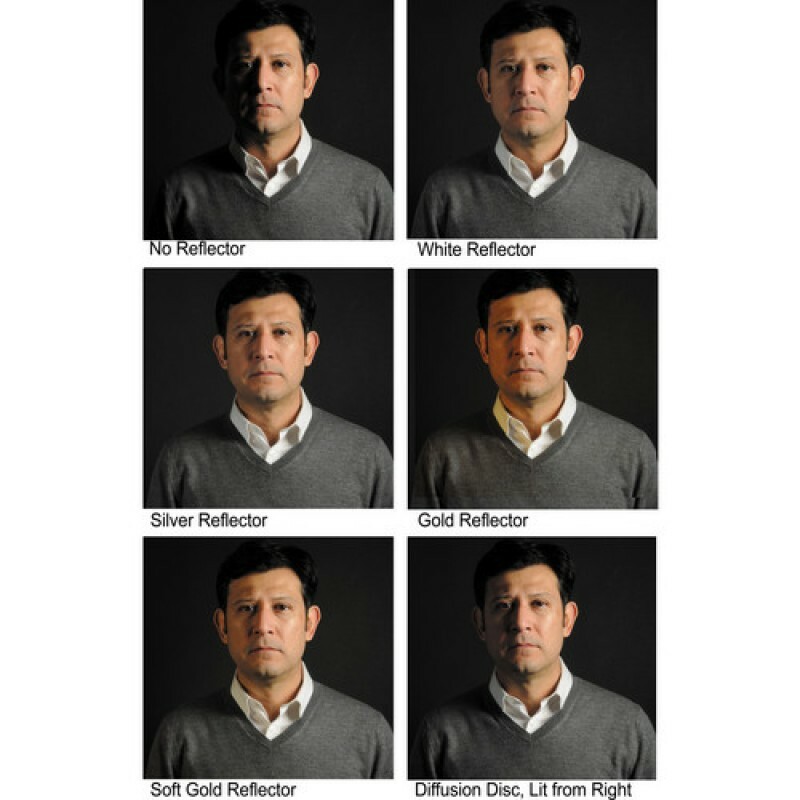 The blue and the green chroma-key fabrics turn the reflector into a small chroma-key background. The frame folds down to approximately 1/3 of its full size, for convenient storage and transport.